Now, we float through Victoria’s lush rainforests and stride across grey sand beaches. From this base, we get to travel to secluded corners of the world and meet boatloads of incredible people. We both started running as kids and competed in local New Brunswick races; then, when we got older, we became a part of ANB’s High Performance Program. Even though our big dreams have now carried us away, the picture province of NB never stops feeling like home. Last week, Sarah and I departed YYJ and flew south. For the next three weeks, we get to bask in the heat at Athletics Canada’s warm weather training camp! We touched down on the San Diego tarmac late in the evening, and shortly after, we arrived at the US Olympic Training Centre. Located in Chula Visa, our new home away from home overlooks the Otay Lakes and the mountains bordering Mexico. The morning after our arrival, we joined the lovely Kala Stone for a 15 km long run. Kala trains with us in Victoria and also competes on the Canadian MD scene. We blinked the sleep from our eyes, slapped on our watches, and hit the trails at the fiercely early 10:49 am. (Okay, that’s not actually early, but we did get in late the night before). The views from our first morning transfixed us. The San Diego landscape carries tones of brown and yellow, but the vast cerulean sky elevates the scene to brilliant hues. Miles of soft trails weave around the water and up into the hills, so on our off-track days we enjoy good footing and a gorgeous vista. Our long run passed in jovial bliss, and we relished the feeling of shorts in January. The camp kicked off with a fairly universal theme: caution to the runner. Or, as I refer to it, the “don’t be a stupid head” technique. It’s an annoying ideology to abide, but also incredibly important. As athletes, we regularly navigate the limitations of our bodies, and as such, we learn to listen for our body says to us. Sometimes, our bodies say, “ease off there, girl”. When each week contains three workouts, a long run, two weight sessions, and up to eight easy runs, the body inevitably experiences a breakdown. (Yes, we may imagine our bodies as edifices of rebar and steel, but in reality, we’re just a pile of bone marrow and slimy grey matter). Niggles, strains, and inflammation always flare up, and it’s up to us to see them coming and to understand them when they speak. Rooted in the first line trenches, we take a proactive stance in the battle against injury. We have become “body whisperers” to our own patterns of motion. Over the past few months, Sarah increased her mileage and thus pounded far more pavement. As a result, there are moments when she describes her calves as “semi-death-wreaked”, and the tightness easily riles her Achilles tendon. When she wakes up in the morning, it takes a few minutes for her feet to settle and react properly to the ground. So, Sarah takes special care of her calves. I do the same for my own niggles. Before every single run, we spend twenty minutes activating our muscles with a series of drills, and we regularly book in to see physio and massage. When we feel a change, we take measures to figure out the problem, while also stretching or rolling the tender spot. That’s not to say we don’t receive top-notch care. In Victoria, we train out of Pacific Institute of Sport Excellence (PISE), and our status as NextGen athletes allows access to physiotherapists, massage therapists, and chiropractors who specialize in the field of athletics. Their care helps us sweep away of minor issues and tackle the bigger ones. This San Diego camp is no exception – while here, we’re totally spoiled with world-class care. We could compare it to Rogers On Demand, but a better metaphor would be Netflix – if you need a certain special opinion, they’ve got it ready and waiting to binge. Sometimes, though, this care isn’t quite enough, and we end up needing to modify elements to our training. After consulting with Heather and certain members of our support team, Sarah decided not to do strides during our Monday activation. I watched her put away her spikes and, because I know her so well, I recognized a glint of frustration in the way she stiff-walked back to our dorm. She prioritized feeling good for our Tuesday workout rather than reap the minor benefits of shakeout strides, but the choice never feels easy. My turn came soon enough. After Thursday’s speed workout, my Debbie-Downer ankle grew angry, so I opted to elliptical my second run. It was frustrating to be in such a beautiful setting and not jaunt through the brush while pretending to be Indiana Jones. I am a runner, not a competitive elliptigoer, and missing out on a run kinda totally sucked. Yes, when I can’t run, I sometimes get bitter and stab my scalloped potatoes with a little too much force. Sometimes, Sarah sings Adele while taking a shower. But, we’re both trying to be grown ups, and aim to take responsibility for our lifestyle. That means treating our bodies with as much respect as possible. Cross training does eliminate strain, and it still provides the benefits of shakeouts. While I ellipticaled, Sarah stopped by to chat. Our conversation got me through the thirty minutes of first-world death boredom misery. Of course, as always, we remind each other to get over ourselves and stay positive. After our Friday weight session, we ran down a dusty path and end up at a secluded orange grove. The blue sky stretched over a valley of terracotta houses and frothy palms. Sarah twisted an orange from the tree and bit into it. Tart juice squirted over her fingers and she sputtered and laughed. I dropped to a squat and crouched beneath a tree’s dappled shade. A bug whose genus I don’t yet know scurried up the smooth trunk, its spindly little legs flashing past. I curled my toes in my Frees, closed my eyes, and inhaled the smell of chalk and palm. Then, I reached up and picked an orange too. Treat your body like a piece of land, like a piece of the environment. Marvel at its awe-filling power, at the depths of its intricacies. Take as much joy in the spreading your toes and flexing the arch of your foot as you would in watching the sun set over Mexico’s rolling mountains. Conserve your resources, mine only when necessary, and make judgments for long-term sustainability. If you’re smart, your body’s inner conflict will settle in the end. Jan 26 2017 - 10 New Brunswick athletes ranked in the top 15 in USport. With less than 2 months to go to the USport (formerly CIS) Track and Field Championships, Athletics New Brunswick currently has 10 athletes ranked among the top 15 in Canada. Nick MacMackin of Quispamsis, who runs for University of Windsor is ranked 1st in the country in the 1000m, 5th in the 1500m, 10thin the 600m, and is also part of Windsor’s 4x800m team that is ranked 1st in Canada. Tess McDonald of Fredericton, who competes for the University of New Brunswick, is ranked 3rd in the women’s triple jump. Sarah Myatt of Fredericton, who competes for Dalhousie University, is ranked 14th in the women's 600m. Adrian Kinney of Bristol, who competes for St. Francis Xavier University, is ranked 6th in the 60m. Jonathan Gionet of Bathurst, who also competes for the University of New Brunswick, is ranked 4th in the shot put, he is also ranked 13th in the Weight Throw. His teammate Liam Turgeon of Tide Head is ranked 12th in the Weight Throw. David Kerr of Fredericton, who competes for Dalhousie University, is currently ranked 10th in the Weight Throw. Andrew LeBlanc of Fredericton, a rookie for Guelph University, is ranked 12th in the 1000m and is part of Guelph’s 4x800m team that is ranked 4th in Canada. Nicholas MacLean of Moncton, a rookie competing for the University of Ottawa, is ranked 7th in the Men’s Heptathlon. Jack Berkshire of Fredericton, a rookie for the University of Toronto, is ranked 15th in the men’s 300m and is also a member of U of T’s 4x400m team currently ranked 1st in Canada. Athletics is pleased to announce that the competition criteria for the 2017 Canadian Francophone Games are now available. ANB believes that the accepted criteria will allow us to send the team in full and more competitive in its history! Criteria is available here: http://anb.ca/Programs/jeux-franc2.php Trials competitions for these games will take place in Moncton on May 22, 2017. The games will be held in Dieppe / Moncton on July 11, 2017 and will bring together more than 1,000 young people from across Canada! Athletes hoping to be nominated to the NB Team must be born between January 1, 1999 and December 31, 2003. They must attend one of the 22 French-language schools in New Brunswick, in addition to being Canadian citizens or permanent residents. Athletics New Brunswick is pleased to announce that the competition criteria for the 2017 Canadian Francophone Games are now available. ANB believes that the accepted criteria will allow us to send the most competitive team in our history! The Trials for these games will take place in Moncton on May 22, 2017, while games will be held in Dieppe / Moncton on July 11, 2017 and will bring together more than 1,000 young people from across Canada! The team's coaches for these Games are Jean Marc Doiron, Aaron LeBlanc, and Miriook St-Arnauld Hivon. Athletes hoping to be nominated to the New Brunswick Team must be born between January 1, 1999 and December 31, 2003. They must attend one of the 22 French-language schools in New Brunswick, in addition to being Canadian citizens or permanent residents. Athletics New Brunswick is pleased to announce a partnership with SUBWAY® whereby SUBWAY® becomes the official food provider to the ANB volunteers and officials at all competitions hosted by ANB in 2017. SUBWAY® is the world’s largest submarine sandwich chain with more than 43,000 locations in 98 countries. Both in 2009 and 2010 SUBWAY® was ranked number one by consumers in the “Most Popular,” “Healthy Choice” and “Top Service” categories of the Zagat Fast-Food Survey. As the quid pro quo to this new relationship, ANB will be promoting the SUBWAY® brand at its dozen or more competitions including direct promotion of the SUBWAY® service to parents, coaches, spectators and athletes. “Their commitment is supported by local Subway owners throughout the province of New Brunswick representing over 70 restaurants and as a result we wish to encourage our athletes, parents and coaches to also call on SUBWAY® whether at our competitions or when back in their region of the Province”. ANB has also approached other potential partners to join in such partnership with the objective of having a few more board during 2017. “We are purposely limiting the number of relationships to not more than four in order to ensure that all of our partners enjoy a strong visibility and engage with us in what will be a win-win relationship” states Leblanc. As for now, officials, and volunteers alike can look forward to enjoying sandwiches, salads, and even those famous mouthwatering white-chocolate-macadamia-nut cookies throughout Athletics New Brunswick’s 2017 competition season. Athletics New Brunswick is pleased to announce the coaches and staff that have been selected for Team New Brunswick at the 2017 Hershey Canadian Indoor Youth & Junior Championships, taking place in Montreal on February 18th and 19th. Peter Stuart of Riverview, and ASEA, will be the team's Head Coach. Peter brings over 35 years, and over 20 provincial teams, of experience to this staff. Alex Stuart of Riverview, and ASEA, has been named as an assistant coach. He was on both the staff for this team, in 2016, and an NB Legion coach last summer. Brandon LeBlanc of Riverview, and FLTC, will be making his third appearance on this staff. Lauren Duke of Lakeview Nova Scotia, and YHZ track club, will be an Assistant Coach. Lauren was on the NS Legion staff last summer. All three are young and developing coaches that should add plenty of energy to this team. "Athletics New Brunswick is confident that with a team of such strong coaches and staff, our athletes will be in great hands as they compete at the national championships," said Gabriel LeBlanc, Technical Director of Athletics New Brunswick. Over the weekend, New Brunswick athletes were in action across North America with some fantastic performances. Two provincial records were broken, while a handful of other records came very close to being broken. - Genvieve Lalonde of Moncton, representing Speed River Track Club, finished 7th in the women's elite mile with a time of 4:38.94. The next day, Lalonde raced the 1500m, finishing 5th with a new provincial record time of 4:19.52. - Nick MacMackin of Quispamsis, representing University of Windsor, won the men's 1000m with a time of 2:23.24. This time is the fastest in USport this season, is a provincial U23 record, and just missed the provincial senior record by 0.51 of a second! - Matt McLaughlin of Fredericton, representing University of Windsor, finished 4th in the men's 600m with a time of 1:24.81. - Nick MacMackin was again in action following his outstanding performance at the GSVU Open, this time winning the open 600m with a time of 1:20.12, and running the 4x400m with his Windsor teammates to finish 5th in a time of 3:21.07. - Jack Berkshire of Fredericton, representing University of Toronto, finished 11th with a time of 7.21. In the prelims, Jack ran a time of 7.20. - Marie-Pier Cloutier of Saint John, representing Saint John Track Club, set a new provincial record in the youth girl's 60m hurdles with a time of 9.10. Marie-Pier also won the 60m with a time of 8.12, and placed 2nd in the 200m with a time of 27.92. - Craig Throne of Saint John, representing Saint John Track Club, placed 2nd in the youth boy's 60m hurdles with a time of 8.88. - Jordan Henri of Moncton, representing ASEA Track Club, won the youth boy's 60m and 200m with times of 7.13 and 22.84, respectively. Jordan's 60m time just misses his provincial record of 7.09 set last week, while his 200m time misses the longstanding provincial record of 22.69 by just 0.15 of a second. - Ryan Evans of Saint John, representing Saint John Track Club, won both the junior boy's 60m and the 60m hurdles with times of 7.69 and 9.34, respectively. - Adrian Kinney of Bristol, representing St. FX, won the 60m with an outstanding time of 6.94, making him one of the fastest New Brunswickers of all time in the event. - Michael Colford of Fredericton, competing for University of New Brunswick, placed 5th in the 1000m with a time of 2:31.94 and won the junior boy's 1500m with a time of 4:06.99. - Dan Brown of Saint John, representing University of New Brunswick, finished 2nd in the 600m with a time of 1:22.38, finishing just 0.01 behind the winner. - Matt McNeil of Saint John, representing Halifax Road Hammers, finished 4th in the 3000m with a time of 8:45.34. "This weekend was packed with phenomenal performances from many of our best athletes," said Gabriel LeBlanc, Technical Director of Athletics New Brunswick. "These events serve as a great build up to the Athletics Canada Indoor Championships and USport Conference Championships." This past Saturday (the 14th), Moncton hosted the Jump Start Athletics Moncton Open. The meet had a massive 275+ people which is the largest indoor meet in NB in a long time. With many wonderful performances by not just our athletes but athletes from both NS and PEI. It was wonderful to have such a larger representation from Atlantic Universities, their performances show great promise for the AUS Championships February 24th -25th in Moncton. There were 7 provincial records bested. Jonathan Gionet bested his own senior men’s shot put record with a put of 16.37m. Jordan Henri beat his own youth boys 60m record with a time of 7.09s. Yvan Pelletier broke the men’s 60-64 200m record with a time of 29.82s. Heather LeBlanc bested the women's 55-59 shot put with a put of 7.03m. Andrew Justason beat the men’s 45-49 Long Jump with a leap of 5.24m as well as the pole vault record with a vault of 3.20m and the 60m hurdle record with a time of 9.88s. There were also 7 meet records set, for which a 50$ bounty was offered each. They were set by: Adrien Kinney in the men’s 60m, Jordan Henri in the men’s 200m, Véronique Omalosonga in the women’s 200m, Allie Flower in the women’s 300m, Jana Pfeiffer in the women’s 800m, Jennifer Bell in the women’s Shot Put, and Jonathan Gionet in the men’s Shot Put. “This was our biggest and one of the best Moncton Open meets we have hosted. Many records were broken, both meet records and provincial and stadium records, and I am sure many personal and seasonal bests were set. What better way to star 2017!” meet Director Steve LeBlanc. Coming up this Sunday (the 22nd). Is our 2nd Performance practice of the indoor season, once again in Moncton at the CEPS facility. Which includes another series of great clinics after the open training time. Option 2: Indoor Javelin training with Caleb Jones. Option 3: Triple Jump Technique with UdeM Head Coach Steve LeBlanc, MSc ChPC. Classroom session from 14:15-15:30 New Perspective on Combined Events with Steve LeBlanc MSc ChPc. This past weekend, Athletics NB and the Saint John Track Club hosted an Intro to Track and Field Clinic for para-athletes on January 15 at UNBSJ. The clinic was facilitated by several coaches from the Saint John Track Club as well as Athletics NB staff including Gabriel LeBlanc, Jason Reindl and Alex Holder. Also there to help facilitate and share her expertise was one of the provinces best para-athletes, Veronica Coombes. The free clinic was offered for any para-athletes interested in trying out athletics. Both ANB and the SJTC wanted to provide this opportunity to generate some interest in the sport and potentially identify some athletes for the Canada Games. Participants were able to try out a variety of event stations set up in the gymnasium including wheelchair racing, shot put, discus, javelin, etc. There was a wide range of participants in attendance, including some with experience in other para-sports. This was a great group of athletes who are eager to learn more about what track and field has to offer. “Organizing clinics of this nature are key in demonstrating how athletics is so adaptable and open to para-athletes – not only that, but it enables us to identify more interested athletes and get them involved in the sport” said Gabriel LeBlanc, Executive Director of ANB. LeBlanc added, “A big ‘thank you’ goes out to the volunteers and coaches who made this clinic possible. Without them, providing clinics like this would not be possible and we want to know that their help and expertise does not go unnoticed”. The Université de Moncton and ASEA are set to host the biggest indoor track meet in the Maritimes, the Jump Start Athletics Moncton Open. This Saturday, January 14, the CEPS facility at the Université de Moncton will play host to 275 athletes from all over Atlantic Canada, representing 7 AUS schools as well as clubs from all over the Maritimes. This is the 9th edition of the Moncton Open, consistently one of the major indoor events of the winter track season. The competition starts on Saturday morning and continues throughout the day, with the 4x200m relays bringing the action to a close around 5:30pm. Spectators are welcome and there is no admission fee. Come see the fastest athletes in Atlantic Canada. Last month the topic of competition data was looked into and shed light on how at varying developmental stages recording and reflection of competition data is an important part of the performance process. Through analysis and reflection on an athletes’ performances during competition the coach, athlete, and support team can better understand the strengths of the athlete, current limitations that help identify what should be prioritized in training, and also individual nuances such as performance trends during the season. Recording and reflection of practice data and linking to competition data allows for a similar process of generating information and insights to aid in the performance planning process. How many meters were run in practice at required velocities? How many throws landed within the sector during the last training cycle? How many foot fouls occurred? Practice performance can be creatively broken down and assessed in a number of ways depending on the goals of the athlete and coach with targets established and progressed towards. Sometimes these goals are objectively determined (times, heights, distances, fouls) but at other times this is more subjective such as assessment of good or not quite up to the level required. So how can we, as coaches, influence this process? The primary recommendations are to discuss with the athlete the goals for the practice and how this is linked to competition. Come to a consensus on how practice success will be determined and record this in some form (excel file or training journal). For a younger athlete, it might be based on effort, what they learned, or even if they had fun. Having the athlete keep track of how many practices were above the desired effort level is a simple way to determine and empower the athlete to realize if consistent practice efforts and focus goals are being met. For an older athlete, it could be hitting a certain number of race pace splits, keeping the number of fouls during practice under five or clearing all heights during high jump practice, achieving a new 30m fly best, or a more appropriate takeoff angle, all of which can and should link back to the competition performance goals or barriers. This process allows for self-reflection by the athlete, program reflection by the coach, and determination of priorities, goals, and areas that might need to be solved with more creative ideas. · The athletes’ overall capacity to perform at the required level (approximately 6.9s) to the first hurdle was in place. This suggests her physical, technical and tactical abilities (speed, strength, power, hurdle ability, stride rate, length, and rhythm) were stabilized from the start to the first hurdle (0-45m). As the first hurdle sets up the race this was a key priority during the season and having confidence that she can repeat this on demand was a major part of the performance planning process. · The athletes’ capacity to perform at the required level (approximately 11.9s) to the second hurdle was also in place. · The athletes’ capacity to perform at the required level through hurdles one to five was adequate but not quite at the 60s-performance level. This suggests that a limitation exists that is a barrier to performance. Through reflection it was determined that greater physical capacities (speed, strength, stamina) are the areas to be developed in order to perform at the levels required for the entire 400m distance in 60s. · Using video of the workout repetitions it was clear that the athlete was running with a consistent number of strides (17) between hurdles two, three, four, and to five allowing her to use her right lead leg (preferred lead leg) which allows to her to be as efficient as possible and not cause increased levels of fatigue during performance. Heading into the national championships we (coach and athlete) reflected on the previous workouts, video, data, and felt confident that we were prepared to compete for a spot in the finals. Knowing that if we got to the finals greater emotional stimulus might facilitate a breakthrough performance. Everything leading up to this point in time gave us confidence that we were prepared no matter the situation (weather, lane, time of day). Unfortunately, we fell just short of that objective performance goal by one spot finishing 9th overall. However, while disappointing on the surface this result was a personal best, broke three provincial records (U20, U23, and Senior), was her best result at the national championships to date in the intermediate hurdles, and was executed very well with zero stride adjustments needed during the race (evaluated multiple times through video after the race). The integration of competition and practice data did confirm that technical and tactical abilities were in place for greater levels of performance and that approximately 80% of all workouts focused on the first half of the race. While the athlete learned, and stabilized her abilities over the first half of the race this percentage will need to adjust to reflect a greater emphasis on overall physical capacities and second half of event performance in order to approach and surpass 60 seconds in 2017. In conclusion, practice data and linking it to competition data aids the process of planning for performance for all event areas, all athletes, and all developmental stages. Improvements in abilities and subsequent performance do not happen by luck or chance. Research, analysis, record keeping, planning, creativity, thinking outside of the box, and reflection are all key components that need to be accounted for during practice as practice facilitates competition performance. Athletes and coaches should be recording practice details beyond the basic workout numbers (sets, reps, volume, intensity, and rest intervals). 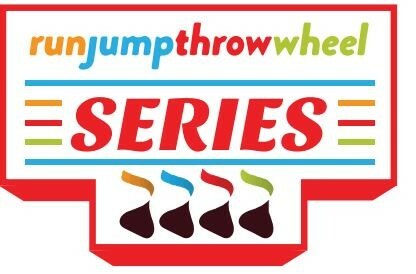 Athletics New Brunswick is proud to announce the first Run Jump Throw Wheel Track Meet Series to take place during the indoor track and field season. Building on the success of the summer RJTW Series meets, we hope to provide more opportunities for youth ages 8-13 to take part in track and field based meets during the winter. The Series will consist of several Regional RJTW competitions, which are open to all athletes, with the top 8 finishers in each event qualifying to compete in the RJTW Provincial Championships (February 5 in Oromocto). Athletes can also qualify through other Qualifying meets hosted by schools, recreation organizations, groups, etc. The Provincial Championships will be the culmination of the Series. Athletes can compete in up to three events, but NO MORE than two track events OR field events (i.e. 2 track and 1 field or 1 track and 2 field). Athletes taking part in the Provincial Championships will receive a T-Shirt. Provincial Championships will take place in Gagetown on February 5th, 2017.